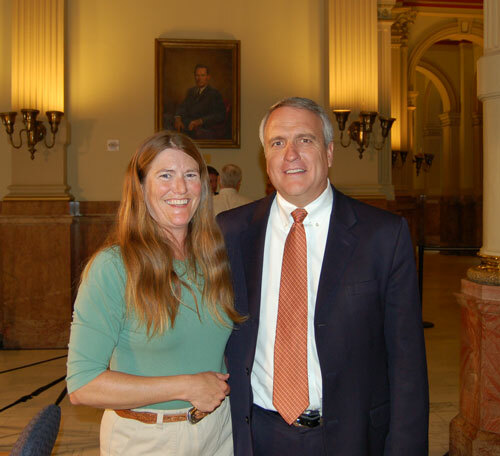 Less than twenty months after Powertech Uranium Corp. purchased the right to mine uranium on nine sections of land near Fort Collins from an Anadarko Petroleum Corporation subsidiary, Governor Bill Ritter signed House Bill 08-1161 into law today at a signing ceremony at the state Capitol. The bill, for the first time, sets standards for permitting, operating, and reclaiming in-situ leach (ISL) uranium mines in the state of Colorado. Before being issued a permit, mining companies must provide evidence from past ISL mines that they can conduct mining in a aquifer without contaminating the ground water outside of the mining area, and further, that they can restore the ground water in the mining area to premining conditions or to state water quality standards. The bill does not prohibit ISL mining. Given the catastrophic consequences that would result from an accidental release of radionuclides and heavy metals into a groundwater aquifer used by thousands of people, the bill simply requires mining companies to prove that they can prevent such a release and that they can leave the water as clean or cleaner than they found it. Powertech and other mining companies regularly make these assurances as part of their efforts to address public concerns about the ISL process. 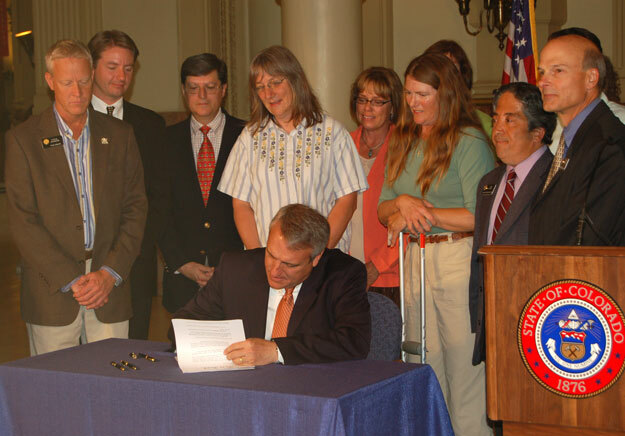 Before signing the bill, Governor Ritter, Representative John Kefalas, Representative Randy Fischer, and Senator Steve Johnson praised efforts by northern Colorado residents to create a grassroots organization to express their concerns to elected officials. The extensive bipartisan support for the bill was noted, and Rep. Kefalas suggested that HB-1161 could be a model for other states concerned with the risks from ISL uranium mining.